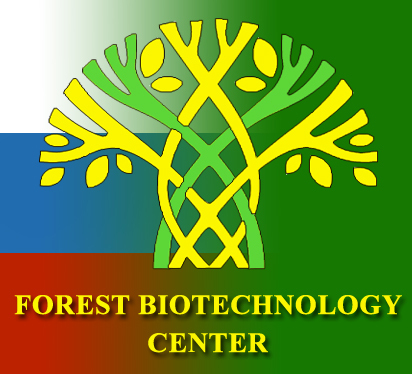 The delegation consisted of: Deputy Head of Federal Forestry Agency Nikolay Krotov, Head of Department for Science and Long-Term Forest Development of Federal Forestry Agency Vladimir Dmitriev, Director of the All-Russian Research Institute of Forest Genetics, Breeding and Biotechnology Oleg Korchagin and Deputy Head of Analytical Unit of National Forest Inventory Organization Maria Sokolenko. The members of Russian Federal Forestry Agency delegation attended the opening ceremony, the exhibition “Global Goals, Localized Action - Celebrating 40 Years of FAO Field Presence in Europe and Central Asia” and the round table “sustainable agriculture and food systems in Europe and Central Asia in a changing climate. They also discussed the FAO’s achievements and established its priority areas of work in the region for the next years. During the Joint Session of the 39th European Forestry Commission - 75th UNECE Committee on Forests and the Forest Industry the delegation members heard reports on measures taken in order to achieve the Sustainable Development Goals in the region and the final report of the 31st session of the FAO Regional Conference for Europe. 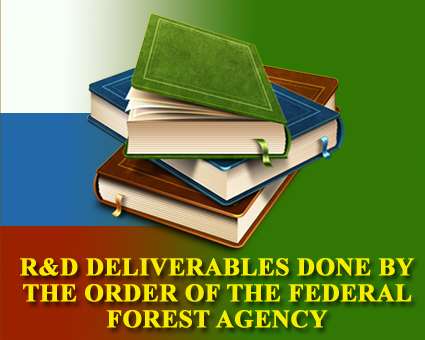 The FAO agenda gave special status to forestry issues. The organization monitors global forest-related activities implementing the 2030 United Nations Agenda for Sustainable Development. The importance of the role of forest ecosystems in achieving the Sustainable Development Goals will also be considered later this year by the high-level political forum on sustainable development. In this regard, the Russian delegation drew attention to the need to strengthen interaction between FAO members in order to prevent natural disasters, including forest fires, floods and droughts. FAO Member Countries also agreed to strengthen cooperation in forecasting and tackling invasive forest species, pests and diseases. These threats might be created by current climatic changes. They are planned to be taken into account in FAO's risk modelling work. International experts noted the importance of constant joint work on forest conservation and forest landscape restoration in the region. As a result of these discussions FAO Member Countries agreed upon the 3rd Regional initiative “Sustainable management of natural resources under climate change conditions” which will become an important part of FAO's activities in Europe and Central Asia. The opening ceremony of the 31st session of the FAO Regional Conference for Europe and Central Asia region held at the conference hall of the Government of Voronezh oblast. This is the first time Russia has hosted an FAO Regional Conference. The Session was attended by more than 300 delegates from 48 countries, including ministers for agriculture and other high-ranking officials from FAO member countries in the region. Among the participants were representatives of European Union, the Holy See, civil society and the world trade Union organization. The opening ceremony was held at the conference hall of the Government of Voronezh oblast. Interim Governor Alexander Gusev also participated in the event. In welcoming the participants, FAO Director-General José Graziano da Silva thanked the Government of the Russian Federation and of Voronezh oblast for the warm hospitality and assistance in organizing the Conference. "The Russian Federation is a very important FAO partner in assisting countries in the region and extending its technical expertise for ensuring food security and nutrition for all," da Silva said. He also noted that this Regional Conference is extremely important, because many countries are currently looking for ways to ensure sustainable global food security, conserving natural resources, saving biodiversity and overcoming poverty. Achieving Zero Hunger in Europe and Central Asia requires supporting smallholders and family farmers to reduce poverty and, in the face of climate change, managing natural resources in a sustainable way, FAO Director-General José Graziano da Silva said. With climate change "one of the major obstacles in achieving sustainable development," Graziano da Silva pointed to the "utmost importance to promote the adaptation of food systems, especially in relation to poor rural communities." He noted that the Green Climate Fund, is one of the most important mechanisms now available to finance developing countries' response to climate change. Nowdays some 60% of world hunger is due to climate change. Da Silva announced that about 815 million people go hungry every day and the number of undernourished people continues to increase. After that participants were welcomed by the plenipotentiary presidential representative in the Central Federal District Alexei Gordeev, who on behalf of the President of the Russian Federation, added that the FAO conference was hosted in Russia for the first time and it is another step towards strengthening of international cooperation. He mentioned that more than 10 years have passed since the Russian Federation rejoined FAO and the country is now an active participant of various FAO projects. Gordeev also notes that the FAO’s strategic position is in keeping with Russian Agenda and is therefore of mutual interest. Interim Governor of Voronezh oblast Alexander Gusev, in turn, said that it is a great honour to be hosting this international event and thanked the FAO management for choosing Voronezh as its venue. Deputy Minister of Agriculture Yevgeny Gromyko also attended the opening ceremony. He welcomed the participants and thanked the FAO management for organizing this conference. 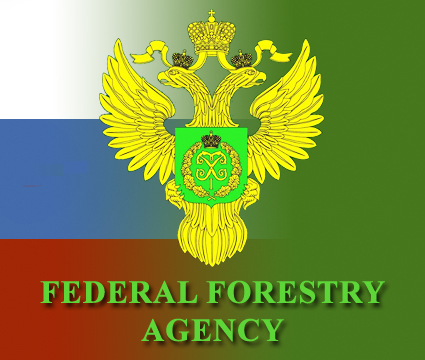 The Federal Forestry Agency delegation continued its work at the 31st session of the FAO Regional Conference for Europe and Central Asia region at Marriott Hotel. The conference continued its work at Marriott Hotel where election ceremony was held. During the election ceremony the Chairman and his deputies were chosen, the agenda and the programme of work were adopted. Alexey Gordeev was elected Chairman of the FAO Regional conference. In response, he thanked the participants of the conference for the confidence. The Conference also included Alexey Gordeev’s meeting with José Graziano da Silva. It was attended by Alexander Gusev, Evgeny Gromyko, as well as FAO Assistant Director-General Vladimir Rakhmanin and the head of the Office for Communications of the Food and Agriculture Organization of the United Nations in Russia Yevgeny Serov. They discussed the work of the 31st sessions of the FAO Regional conference for Europe and the implementation of collaborative projects. The Federal Forestry Agency delegation outside the building of the Government of Voronezh oblast.